Spray the tuna pieces with some fresh lemon juice and salt the tomatoes as you like. 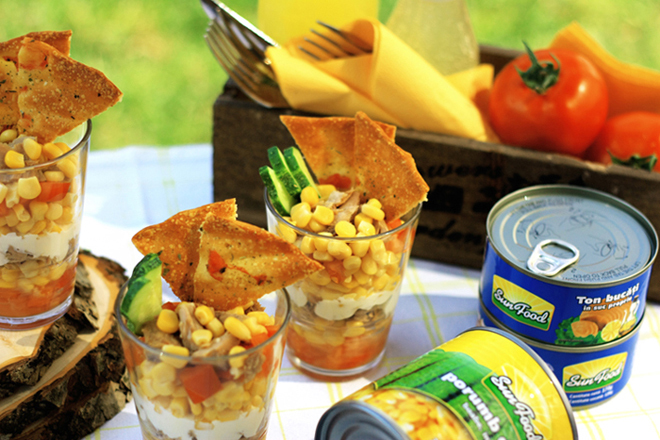 Put the ingredients in some glasses in layers: chopped tomatoes, Sf sweet corn. 1 spoon of mayonnaise, corn, tomatoes and some sliced cucumber.